Absolutely nothing artificial. A timeless classic. Nobody puts lightly salted in the corner. We're all about real food ingredients. We love to use locally grown potatoes whenever we can. We hand cook in small batches to guarantee great crunch every time! Deliciously tasty & gluten-free. No artificial flavours, MSG or colours. 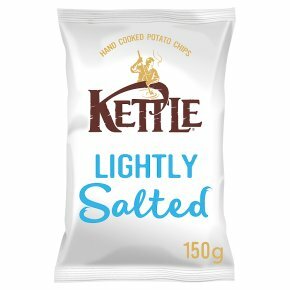 These chips are suitable for: vegans and vegetarians. Kosher - KLBD.